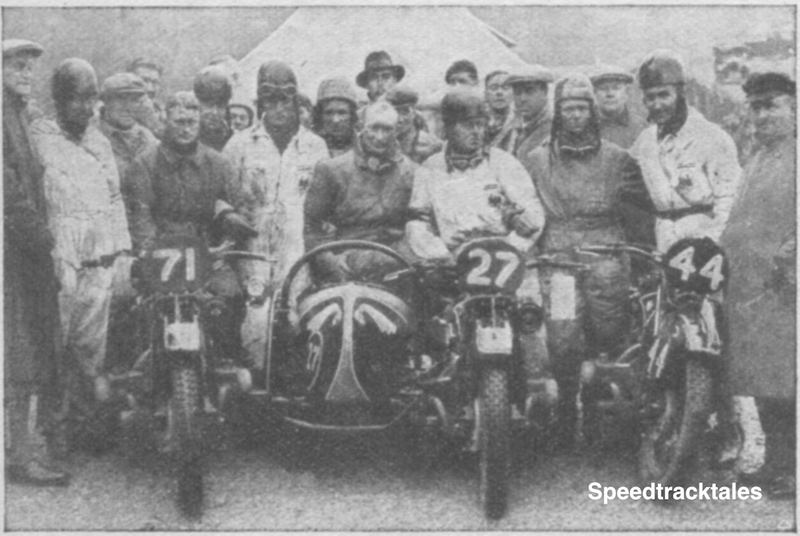 AGAINST the pick of the world’ trials’ riders, a team of Germans, which included the redoubtable Ernest Henne, holder of the motorcycle speed record, has won the coveted International Trophy. Which is to say, obviously, that Great Britain has lost the Trophy. 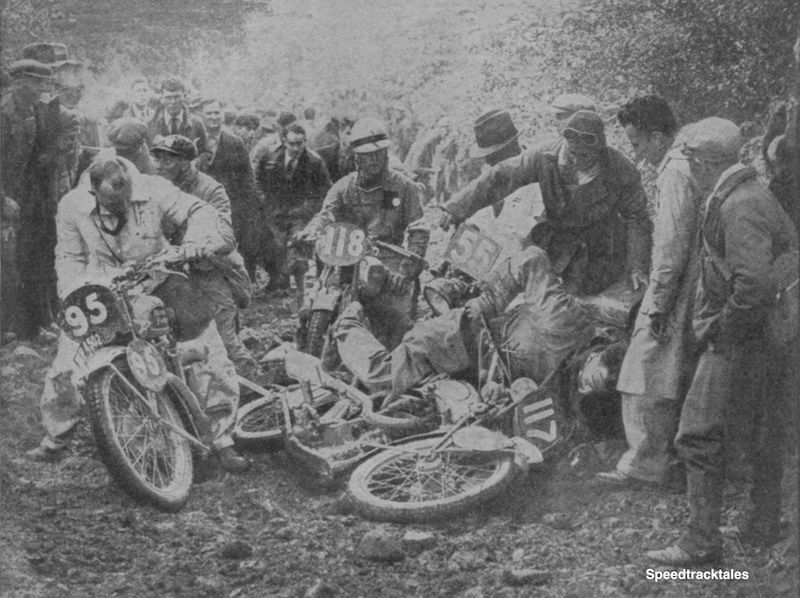 For that we are sorry; and we join with all other motorcyclists in this country in commiserating with the members of our trophy team, who put up a most gallant fight in an unsuccessful attempt to retain the much sought-after honour in the sphere of trials-riding. The greatest consolation of defeat, however, is that the famous Trophy was won by a team which deserved to win it. All three of its members, mounted on beautifully made (and very expensive) B.M.W.s, the victorious German team furnished, every day of last week, a wonderful display of clever riding. Nothing seemed to bother them; they were as “at home” in the valleys and mountains of Wales as in their own favourite trials ground – the forested slopes of the Harz Mountains, in Saxony. Not that the British trophy team did not do a!most equally well; Bradley, Perrigo and Rowley behaved throughout the week like the staunch trials’ geniuses they undoubtedly are. Their machines, too – the Sunbeam, the B.S.A., and the A.J.S.- stood up to the gruelling they received in a manner that wins our most cordial approbation. To lose the Trophy by a single point is galling; yet it i not so galling as it would have been had the honour been filched by a team that only secured it by an amazing stroke of good luck. It is pleasant to reflect that, although we lost the fight, it was cleanly waged on all sides. We have the pleasure, moreover, in acclaiming our own” A” team – Jack Williams (348 Norton), G. F. Povey (499 B.S.A.) and V.N. Brittain (490 Norton) as the victors in the hard fought tussle for the International Silver Vase. The contest for this award was tremendousIy keen; no fewer than 11 teams had high hopes of securing it. 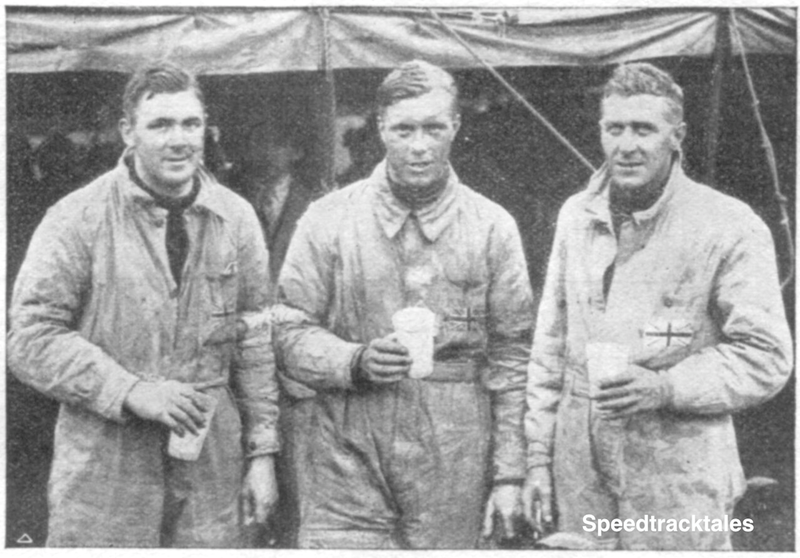 One of the Irish teams – H. McKee (498 Levis), S. Moran (495 Matchless. ) and C. W. Duffin (408 Matchless) was second in the Vase contest, and the other English team – R.McGregor (499 Rudge), L. Heath (499 ArieI) and F. E. Thacker (346 Royal Enfield) – beat the German D.K.W. team for a well deserved third place. So with a very close second place to our credit in the Trophy contest, as well a first, second and third places in the Silver Vase competition. Great Britain and Ireland can well congratulate themselves. It was truly a magnificent achievement. It is tribute, too, to the wonderful reliability of modern motorcycles when it is recorded that no fewer than 87 of the original 140 starters finished. How great a tribute that is, can only be appreciated to the full by those of us who actually witnessed the event. The trial was calculated to search out the weakness in both man and machine; yet all its terrors could find no sign of weakness in the 56 men and machines who finished with clean sheet. Bravo! It was on Dinas Rock on Wednesday. The hill was far, far more difficult than was anticipated. “Outside assistance” in any form was attended by penalization. A rider fell (not the only one) and his leg was being painfully lacerated by the driving chain of his machine, which lay on top of him. A spectator offered to lift it off him . . . . The competitor’ first thought, as he lay there, was to ward off the unwanted help of the spectator; his next was to reach for the compression-release lever, in order to stop the engine and the seering, whirring chain. This done, he heaved the machine from off him, wrested it into an upright position, restarted and went on up the hill …. The spectators round about started clapping. But they did not clap on account of any spectacular display of trial riding; the man’s performance, in fact, was not outstanding. Neither, for that matter, was his pluck – 140 plucky men were competing.